Assassin's Creed Unity is an historical action-adventure video game developed by Ubisoft Montreal and published by Ubisoft. It is the seventh major instalment in the Assassin's Creed series, and the successor to 2013's Assassin's Creed IV: Black Flag with ties another Assassin's Creed product – Assassin’s Creed: Rogue. Set in Paris during the French Revolution, the single-player story follows Arno Dorian in his efforts to expose the true powers behind the Revolution. The game retains the series' third-person open world exploration as well as introducing an improved melee combat and stealth system. Also for the first time, the series will allow players to customise the character, adopting a skill tree that enables players to assign points earned through gameplay to improve their skills in stealth, mêlée and ranged combat, health and traversal. Assassin's Creed Unity introduces cooperative multiplayer to the series, letting up to four players engage in narrative-driven missions and explore the open-world map. However, as a trade-off, there is no competitive multiplayer mode that has been seen in all other major instalments since Assassin’s Creed: Brotherhood. 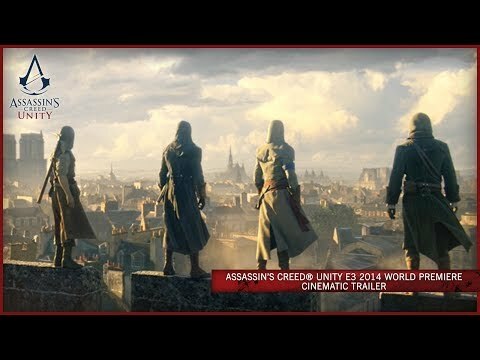 Assassin's Creed: Unity was released on 1620d ago in the UK and the US. Ubisoft's New Assassin's Creed Game Might Miss 2017, "Opportunity To Take It To Another Level"
What?! These 5 PS3 Games HAVEN'T Been Remastered?